The winter of 2015-2016 was the warmest winter ever since accurate modern records have been kept, warmer even than the winter of 1997-1998 which resulted in a widespread mortality of corals across the world. Ocean temperatures rose dramatically as a result of an unusually warm El Niño ocean current that originated along the Pacific coast of South America and spread across the Indo-Pacific. Under conditions of heat stress, the relationship between coral and their symbiotic algae (called zooxanthallae) breaks down, and the algae are expelled, leaving the coral bleached and starved. With sustained bleaching stress the coral succumbs and dies. Corals live very close to their thermal tolerance limits, and an increase of even a degree above the seasonal average for more than a few weeks can trigger widespread mortalities of corals in tropical reefs. The El Niño conditions of 2016 had already devastated much of the central Pacific by early December, and in the Lakshadweep, we put together a rapid-response team to track response of the archipelago’s corals to the advancing body of warm water. Over this last winter we conducted a large-scale survey of the entire archipelago in order to get a baseline assessment of the status of the reef before the bleaching began. We were racing against time since, even by December, corals were beginning to turn pale and sea temperatures were already inching upwards. By April 2016, bleaching was widespread on every reef we sampled and even the deepest reefs we surveyed – normally protected because temperatures get cooler with depth – were showing signs of extensive bleaching. The responses we have been tracking are unprecedented. 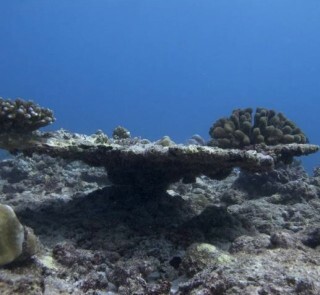 Many reef areas that have escaped earlier anomalous temperature events succumbed this time around and many coral genera that were considered stress tolerant also showed signs of bleaching in many reefs across the archipelago. Surface temperatures rose to extraordinary levels – creating potentially hypoxic conditions for fish and on a few reefs we surveyed we documented several species of fish dying because of the low oxygen conditions. We are still to measure the full extent of this unfolding disaster on the reefs of the Lakshadweep. 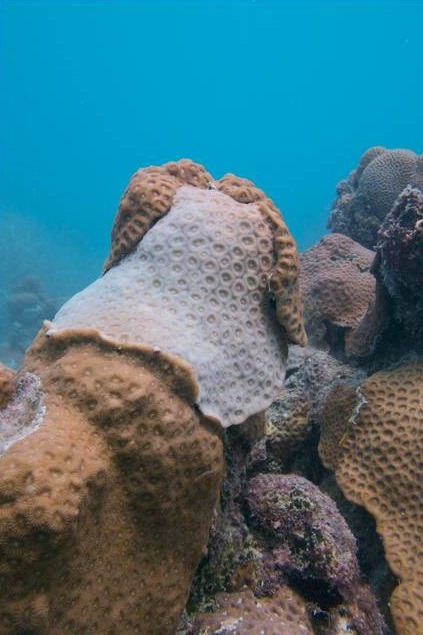 While the monsoon brought much-needed relief to ocean temperatures, it also creates stormy and highly sedimented conditions on the reefs, adding additional stress to the already-stressed corals. We will only be able to know exactly how widespread the coral mortality is by next year. During our ongoing surveys we will also document the consequences of this year’s event on fish communities. What is clear is that 2016 is going to be a signature year for the reefs of the Lakshadweep, as it is for tropical reefs the world over. Since the 1990s, the Lakshadweep has suffered three major catastrophic reef mortalities. 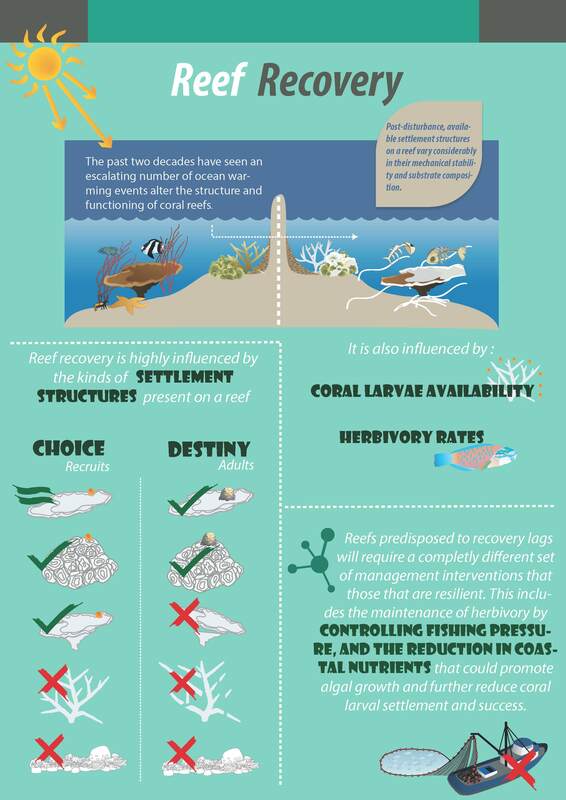 While recovery from the 1998 mortality event showed the reefs to be remarkably resilient, recovery from the 2010 event has been considerably slower and is now likely to be arrested before the reefs had time to achieve a full recovery of ecological function. If this trend continues, it spells a very uncertain future for the reefs of the Lakshadweep. Given how closely human survival is linked to health of these reefs, the fallout of the 2016 event will have profound and far-reaching consequences for the continued habitability of these atoll systems. The mass bleaching event we documented this year in the Lakshadweep is only the last in a series of increasingly frequent ocean warming events this island system has been witnessing. As global change continues apace, sea surface temperatures have been steadily on the rise and abnormal events such as these are beginning to leave a clear imprint on the functioning of these systems. The consequences of these events for reef ecology as well as the human communities that depend on reefs is large. The Oceans and Coasts Programme has been tracking benthic trends in the Lakshadweep since 1998 and a clear geographical pattern of recovery is emerging, linked to local hydrodynamics, coral susceptibility and rates of herbivory. While some reefs show very rapid declines in the wake of bleaching events, they have the ability to recover their structure very rapidly. The benthic structure at more protected and deeper locations in contrast does not change much through time. Our major focus over the last few years has been to carefully unpack the mechanisms underlying the differences between these reef responses. After a major mortality of coral, what appears to be critical is that there are enough herbivorous fish at a reef site. There is a clear threshold of herbivore grazing required to keep the dead substrate clear of algae so that new coral recruits, when they arrive, have a suitable location on which to settle and grow. Our work is also showing that the function of herbivory is highly dependent on the numbers of a relatively small number of species that appear to play a disproportionately large role in keeping the reef clean of algae. Additionally, our work is showing that it is not enough just to know how many herbivores are found at a site—looks can be deceptive. What counts is how much the fish present at a site are eating, and often fish may congregate at a site for reasons other than eating—to hide from predators for instance. By video tracking fish at different locations to observe their behaviour, we have been able to identify locations that herbivores use to graze and others that fish use for a range of other activities. Recognising these differences will help us better predict how the function of herbivory is distributed across reef sites. While herbivory is essential to ensure successful settlement of coral, our work is also demonstrating how important the stability of the underlying substrate can also be to the subsequent patterns of recovery. Coral planulae (small, free-living coral larvae) swim around looking for a good place to settle, attracted to areas high in coralline algae or bare substrate and avoiding areas with thick turf algae. They often choose to settle on the still-standing skeletons of the dead coral that remain after a major mortality event. These skeletons are themselves subject to a range of erosional forces based on their structural form, the wave conditions at a site and bioerosional processes. As these dead skeletons break apart under these combined forces, the young recruits growing on them also fall away and die. 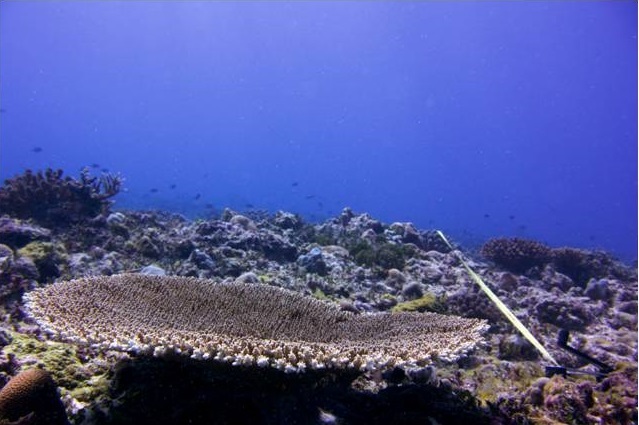 Our research is showing that, regardless of how many coral arrive at a reef site after a disturbance event, only the corals that settle on the most stable substrates are likely to make it past this bottleneck and survive to adulthood.